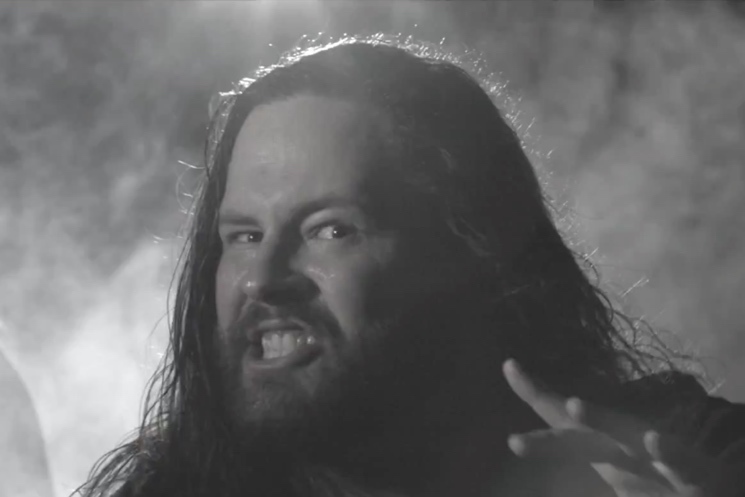 Michigan melodic death metal band the Black Dahlia Murder released their album Abysmal today (September 18), and they're celebrating the big day by rolling out a video for opening cut "Receipt." During the song's string intro, the black and white clip by Robert Graves begins with sinister images of a bloody sink, razor blades, a crumpled note and a photo of a smiling couple. We never find out exactly what happened, however, as most of the video shows the Black Dahlia Murder head-banging their way through the punishing metal song in a shadowy, smoky room. We see a couple of quick shots of a gun and noose, but mostly, this is all about the band's performance. Check it out below, and see the band's tour schedule here.